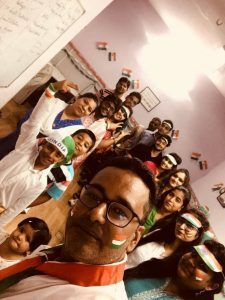 72nd Independence day of India was celebrated with the involvement of each and everyone with complete fun and enthusiasm. Everyone was completely motivated and dedicated towards our freedom fighter and celebrated this day with full energy. 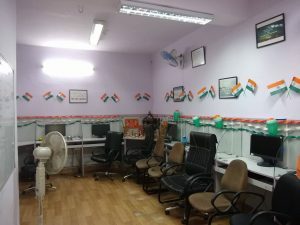 A complete tricolor look of India was given to the office by decorating it with the balloons , frills and flags making it more captivating and impactful and giving it a essence of India. Tricolor tattoos, bands and caps were used by everyone making the ambience more glamorized. 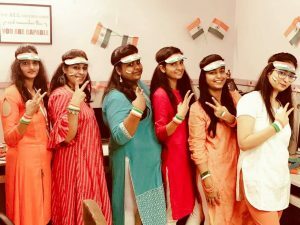 Everyone was in ethnic wear on the theme of “India, the Tricolor Flag” . The celebration started with national anthem and patriotic songs were also sang by the Alea family together in unity and it came to an end with full fun and frolic.